And This is Free and Chicago Maternity Center Story will screen at the Sundown in K-Town Festival in Chicago this July. The festival, which is a collaboration between the Better Boys Foundation (BBF) and Facets Multi-Media, is comprised of a series of social documentaries that exemplify the role of independent filmmaking in reporting about and shaping Chicago. Kartemquin is donating the films to the festival as part of our commitment to Chicago's film and social change communities. And This is Free, a 1965 portrait of Chicago’s Maxwell Street, on which Kartemquin co-founder Gordon Quinn worked on as a soundman and assistant editor, is scheduled to screen on Thursday July 12th at 8PM. Quinn will be featured on a panel to discuss the making of the film. 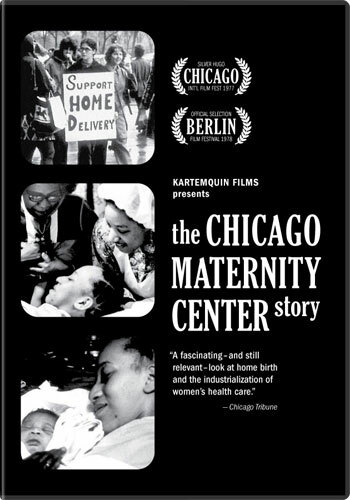 On Thursday July 19th, Chicago Maternity Center Story is set to screen at 8PM. The 1976 film interweaves the history a home birth center facing closure with the stories of a young woman about to have her first baby. Sharene Miller, the woman featured in the movie giving birth to her son, as well as Suzanne Davenport, the co-director of the film, will lead a discussion following the screening. Both screenings are free and will take place outdoors in the inner courtyard of the BBF Center at 1512 S. Pulaski Road. Get information about the festival.